1. Quraysh found out that some people from Yathrib (Madeenah) had become Muslims, so they intensified their persecution of the believers in Makkah. The Prophet (ﷺ) commanded them to migrateto Madeenah, so they migrated in secret, apart from 'Umar (ؓ) who announced to the mushrikeen of Quraysh that he was leaving, and said to them, "Whoever wants his mother to be bereft of him, let him catch up with me tomorrow in the bottom of this valley, "but no one set out in pursuit of him. 2. When Quraysh found out for sure that the Muslims were being honoured and protected in Madeenah, they met together in the Daaran-Nadwah to plan how they would kill the Messenger himself. They agreed to choose a strong young man from each tribe, then they would all kill him together. In this way the responsibility would be shared among all the tribes and Banu Manaaf would not be able to fight all of them, so they would have to accept the diyah (blood money). So the young men who were charged with the killing of the Messenger (ﷺ) met at his door on the night of the Hijrah, waiting for him to come out so that they could kill him. 3. The Messenger (ﷺ) did not sleep in his own bed that night. He asked ' Ali to sleep in his bed, and told him that, the following morning, he should return the items that the kuffaar of Quraysh had66 From the Hijrah until the Prophet settled in Madeenah entrusted to him for safekeeping to their owners. Then the Prophet let his house without his would-be assassins seeing him, and he went to the house of Abu Bakr (ؓ), who had already prepared two mounts for himself and for the Messenger (ﷺ). Abu Bakr had hired ' Abdullah ibn Urayqit ad-Diyali, who was a mushrik, to act as their guide, telling him to avoid the usual route to Madeenah and follow another route that the kuffar of Quraysh did not know. 4. The Messenger of Allah and his Companion Abu Bakr set out on Thursday 1st Rabee' al-Awwal, when the Prophet was fifty-three years old. No one knew about his Hijrah except for ' Ali and the family of Abu Bakr. 'Aa'ishah and Asma’ the daughters of Abu Bakr, prepared food for their journey, and Asma' tore a piece from her nitciaq (waist-wrapper) and used it to tie up the vessel of food, hence she was given the nickname of Dhaat an-Nitaaqayn (she of the two waist-wrappers). They set out with their guide in the direction of Yemen, until they reached the cave of Thawr, in which they stayed for three nights, and 'Abdullah ibn Abi Bakr stayed with them. He was an intelligent young man who was quick to grasp things. He would leave them before dawn and spend the mornings with Quraysh in Makkah as if he had slept among them. He did not hear of any plot that Quraysh planned against them but he understood it, and he would go to them in the evening and tell them about it. "O' Abu Bakr, what do you think of two when Allah is the third one with them?" 6. Quraysh sent word to the tribes encouraging them to look for the Messenger and his Companion, and to kill them or capture them by offering a huge amount of money as an enticement. Suraaqah ibn Ja'sham wanted that prize, so he decided to keep looking for them. 7. After the search for the Messenger of Allah (ﷺ) and his Companions was called off, they came out of the cave with their guide and headed towards the coast - i.e., the coast of the Red Sea. After they had traveled a long distance, Suraaqah caught up with them, but when he get closer, his horse's feet sank into the sand, and he could not go on. He tried three times to make his horse move towards the Messenger, but it refused. At that point, he became sure that the one in front of him was a noble Messenger, so he asked the Messenger to promise him something if he supported him. The Messenger promised to let him wear the two armbands of Chosroes. Then Suraaqah returned to Makkah, and pretended that he had not found anyone. We must be grateful so long as the caller calls us to Allah. O' you who have been sent among us, you have come with a command that must be obeyed”. 9. When the Messenger was on his way to Madeenah, he reached Quba' which is a village two miles to the south of Madeenah. There he lay the foundations for the first mosque to be built in Islam. He stayed there for four days, then on Fiday morning, he went on to Madeenah. The time for Jumu'ah (Friday) prayer came when he was among Banu Saalim ibn ' Awf, so he built a mosque there, where the irst Jumu 'ah prayers in Islam were held, and the first khuthah (sermon) in Islam was delivered. Then he went on to Madeenah, and the first thing he did when he arrived was to choose the place where his she-camel sat down to be his mosque. The place belonged to two orphans among the Ansaar. He wanted to negotiate the price with them, and they said, "No, we will give it to you, O’ Messenger of Allah” But he insisted on buying it from them for ten dinars of gold which he paid from the wealth of Abu Bakr. Then he urged the Muslims to join him in building the mosque, and they hastened to do so. He (ﷺ) carried bricks with them, until the mosque was built, with its walls made of bricks and its roof made of palm leaves resting on palm trunks. 10. Then he established brotherhood between the Muhaajireen and the Ansaar. He gave each Ansaari a brother from among the Muhaajireen. So each Ansaari took his Muhaajir brother to his house and offered to share with him everything that he had in his house. 11.1 The Muslim ummah should be united and undivided. 11.2 The members of the ummah are equal in rights and honour. 11.3 The ummah should stand firm against evildoing, sin and transgression. 11.4 The ummah should reach an agreement as to how its enemies are to be dealt with, and no believer should make a peace treaty without consulting other believers. 11.5 The society is to be based on the best, most correct and strongest system. 11.6 Those who rebel against the state and its public systems should be fought and not supported. 11.7 Those who want to live with the Muslims in a cooperative and peaceful manner should be protected, and they should not be oppressed or harmed. 11.8 Non-Muslims have the right to their own religion and their wealth. They should not be forced to embrace Islam, and their wealth should not be taken from them. 11.9 Non-Muslims should contribute to the expenses of the state just as Muslims do. 11.10 Non-Muslims should cooperate with the Muslims in warding off threats to the state from all enemies. 11.11 They should contribute to the state's defence budget so long as it is in a state of war. 11.12 The state must help those (non-Muslims) who are oppressed, just as it must help every Muslim who is the victim of aggression. 11.13 The Muslims and others must refrain from protecting the enemies of the state and those who help them. 11.14 If the interests of the ummah are best served by a peace treaty, then all the subjects of the state, Muslims and non-Muslims alike, must accept that peace treaty. 11.15 No person is to be taken to task for the sin of another, and the offender harms no one except himself and his family. 11.16 Freedom of movement within the state and to areas outside it is guaranteed and protected by the state. 11.17 No protection is to be given to a sinner or wrongdoer. 11.18 The society is based on a foundation of cooperation in righteousness and piety, not in sin and transgression. These principles are supported and protected by the people's belief in Allah, and their awareness that He is watching, and that He takes care of those who are sincere and honest, and by the head of the state represented by Muhammad (ﷺ). 1. If the believer is sure of his strength, he does not hide what he is doing, rather he does it openly, and he does not pay any attention to his enemies so long as he is confident that he can prevail over them. This is what ‘Umar (ؓ) did when he migrated. 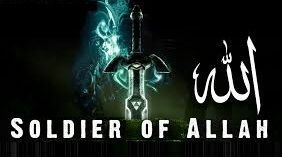 This also indicates that a position of strength frightens the enemies of Allah, because if they had wanted to gang up and kill 'Umar, they could undoubtedly have done so, but 'Umar's audacious attitude cast fear into the heart of each and every one of them, so each of them feared that his mother would be bereft of him. The followers of evil fear for their lives and are anxious to preserve them. 2. When the followers of falsehood despair of putting a stop to the call of truth and reform, and when the believers escape from their clutches and find a place where they can be safe from their enemies, they ultimately resort to killing the daa'iyah and reformer, thinking that if they kill him they will get rid of him and silence his call. This is how the evil enemies of reform in every age think, and we have seen and witnessed such things in our own times. 3. The believer who is sincere towards the call for reform is prepared to sacrifice his life for his leader, because if the leader is safe, then the call is safe, but if he is killed, then the call will weaken. What ' Ali () did on the night of the Hijrah, sleeping that night in the Prophet's bed, meant that he was willing to sacrifice his own life so that the Messenger of Allah (ﷺ) would remain alive, for the swords of the young men of Quraysh would have come down on ' Ali's head, seeking vengeance upon him, because he had made it easy for the Messenger of Allah to escape. But 'Ali did not even think about that; it was sufficient for him to ensure that the Messenger of Allah, the Prophet of this ummah and the leader of the da’wah, would be safe. 4. The fact that the mushrikoon had let items for safekeeping with the Messenger of Allah (ﷺ), even though they were fighting him and were determined to kill him, indicates that the enemies of reform are certain in their hearts that the daa’iyah is righteous, trustworthy and honest, and that he is better than them in his conduct and attitude and purer in heart, but their blindness, stubbornness and insistence on clinging to tradition and misguided beliefs is what makes them fight him, plot against him and conspire to kill him if they can find a way to do so. 5. If the leader of da’wah, the head of state or the leader of a reform movement thinks of escaping the conspiracy of those who lie in wait for him, and he forms an effective escape plan so that he can regroup and resume his da'wah efforts from a stronger base elsewhere, this is not to be regarded as cowardice, fleeing from death or being unwilling to sacrifice himself. 6. The attitude of 'Abdullah ibn Abi Bakr confirms the effect that the youth may have on the success of da ' wah efforts, for they are the pillar of every call for reform. Through their willingness to sacrifice themselves, the call may quickly advance towards victory. We see that the first believers to embrace Islam were all young. The Messenger of Allah (ﷺ) was forty years old when his mission began, and Abu Bakr (ؓ) was three years younger than him. 'Umar (ؓ) was younger than both of them, and ' Ali (ؓ) was the youngest of them all. 'Uthmaan (ؓ) was younger than the Messenger of Allah, as were ' Abdullah ibn Mas'ood, 'Abdur-Rahmaan ibn ‘Awf, Al- Arqam ibn Abi al-Arqam, Sa'eed ibn Zayd, Bilaal ibn Rabaah, ' Ammaar ibn Yaasir and others. All of them were young men, who shouldered the burdens of da' wah and made sacrifices for its sake, finding sweetness in the torture, pain and death that they encountered for the sake of the da’wah. Through these people Islam prevailed, and through their efforts and the efforts of their brethren the state of the Rightly-Guided Caliphs was established, and the Islamic conquests were achieved. By virtue of these people Islam reached us, by means of which Allah freed us from ignorance, misguidance, idolatry, kufr and immorality. 7. The attitude of 'Aa’ishah and Asma' (may Allah be pleased with them both) during the Hijrah demonstrates that reform movements also need women, for they are soft-hearted, more motivated, more tolerant and better at heart. If a woman believes in something she will not care about any difficulties involved in spreading the message and calling people to it. She will strive to convince her husband and sisters and children of it. Women have a glowing history of jihad for the sake of Islam at the time of the Messenger (ﷺ), which demonstrates to us today that the Islamic reform movement will make little progress and will have little effect on society unless women are involved in it and raise a generation of girls with faith, good morals, chastity and purity. Women are more able than men to spread these values which are needed among women in society nowadays, because they will be wives and mothers. The Muslim women played a major role in raising the children of the Sahaabah and then the Taabi ' een with the morals and manners of Islam, loving Islam and its Messenger, so that they were the noblest generations that history has ever known, with the highest ambitions, most righteous way of life and the highest achievements in this world and in the Hereafter. We have to understand this fact nowadays, and strive to ensure that our young women and wives carry the banner of the call for Islamic reform among women. For women form more than half of the ummah, which means that we must encourage our daughters and sisters to learn shari ' ah in trustworthy institutions that teach Islam properly, such as the colleges of shari ' ah in our universities. The more girls there are with a sound knowledge of Islam, better understanding of shari ' ah, well versed in the history of Islam, with love to Allah and the Messenger of Allah (ﷺ), and adopting the attitude of the Prophet and of the Mothers of the Believers, the more we will be able to give the reform movement a strong push and bring closer the day when our Muslim society will submit to the rulings and shari ' ah of Islam, for that will indeed come to pass, in sha ' Allah. 9. Abu Bakr's fear that the mushrikoon would see them in the cave is an example of how the sincere follower should be with his leader when they are surrounded by danger: he should express fear for his leader's life. At that point, Abu Bakr was not worried about his own life; if that were the case, he would not have accompanied the Messenger of Allah (ﷺ) on this dangerous journey, when he knew that the least punishment he would incur if the mushrikoon caught him with the Messenger of Allah would be death. Rather, he feared for the life of the Messenger of Allah and for the future of Islam if the Messenger (ﷺ) fell into the clutches of the mushrikeen. 10. The Prophet's answer to Abu Bakr, reassuring him with the words, " O' Abu Bakr, what do you think of two when Allah is the third one with them?" is an example of the most sincere trust in Allah and of assurance of His support, putting one ' s trust in Him at times of hardship. This is a clear indication of the truthfulness of the Messenger's claim to Prophethood, for in the deepest crisis he nevertheless showed signs of reassurance that Allah had sent him as a guidance and a mercy to mankind, and He would not forsake him at that moment. Do you see such reassurance in the heart of those who pretend to be prophets? In such situations there is a clear difference between those who truly call for reform and those who merely claim to do so in their own personal interests. The hearts of the former are always overflowing with faith in Allah and confidence that He will support them, whereas the latter collapse at times of fear and difficulty, then you see that they have no support or help from Allah. 11. From the attitude of Suraaqah, when he caught up with the Messenger (ﷺ) and was unable to reach him, we see another sign of the Prophethood of the Messenger (ﷺ). For the legs of Suraaqah's horse sank into the sand when it faced towards the Messenger (ﷺ), until Suraaqah dismounted and turned it to face towards Makkah, where upon it regained its poise. But when he tried to turn it back towards the Messenger (ﷺ) it became helpless again. Do you think that this would happen to anyone but a Prophet who was sent and supported by Allah? No. This is what Suraaqah realized, so he called to the Prophet (ﷺ) telling him that he would not harm him. He understood that the Messenger (ﷺ) had divine protection which meant that no human power could reach him. So he accepted the loss of the prize (offered by Quraysh) and gained the promise (from the Messenger of Allah). 12. The fact that the Messenger of Allah (ﷺ) promised Suraaqah the armbands of Chosroes is another miracle. A man who seems to be fleeing from his people would not hope to conquer Persia and seize the treasure of Chosroes, unless he was a Prophet sent by Allah. The promise of the Messenger (ﷺ) was fulilled. Suraaqah asked 'Umar ibn al-Khataab to fulfil the Prophet's promise to him when he saw the armbands ofChosroes among the war-booty. 'Umar put them on Suraaqah in the presence of a group of the Sahaabah, and said, "Praise be to Allah, Who has divested Chosroes ofhis armbands and given them to the Bedouin Suraaqah ibn Ja ' sham to wear. " Thus, the miracles of this migration came one After another, to increase the faith of the believers and to reassure those among the People of the Book who were uncertain that he was indeed a Messenger from the Lord of the Worlds. 14. From the events of the Hijrah we see that whenever the Prophet (ﷺ) stopped in a place, the first thing he did was to establish a mosque in which the believers could gather. He established the mosque of Quba' when he stayed there for four days, and he built a mosque halfway between Quba' and Madeenah when the time for Jumu'ah came, in (the lands of) Banu Saalim ibn 'Awf, at the bottom of Wadi Ranoona'. When he reached Madeenah, the first thing he did was to build a mosque there. This points to the importance of the mosque in Islam. The acts of worship in Islam all purify the heart, improve one's attitude and strengthen the ties among Muslims. Prayer in congregation and Jumu'ah and 'Eid prayers are a strong manifestation of unity among Muslims, their common aims and their cooperation in righteousness and piety. Undoubtedly, the mosque plays an important social and spiritual role in the lives of Muslims, for it unifies their ranks, purifies their souls, awakens their hearts and minds, solves their problems and is a place where their strength and solidarity are made manifest. The history of the mosque in Islam confirms that from the mosque the troops of the Islamic army set out to fill the world with Allah's guidance. From it shone forth the rays of guidance for the Muslims and others. In the mosque, the seeds of Islamic civilization grew and flouished. Were Abu Bakr, 'Umar, 'Uthmaan, 'Ali, Khaalid, Sa'd, Abu 'Ubaydah and other great figures of Islamic history anything other than students of the " Muhammadan school" whose seat was the Mosque of the Prophet (ﷺ)? Another distinguishing feature of the mosque in Islam is that every week there comes rom it the word of truth, resounding from the lips of the khateeb (preacher), denouncing evil or enjoining good, calling people to goodness or rousing them from negligence, calling them to unite or protesting against evildoers or warning against oppression. In childhood, we saw how the mosques were focal points of national movements against the French colonialists, where the leaders of jihad against imperialism and Zionism would seek refuge. Ifwe see that the mosques nowadays are not playing their great role, that is only because of the sin of some mercenary khateebs, or khateebs who are ignorant and careless. The day when strong daa'iyahs who are well versed in shari'ah, sincere towards Allah and His Messenger, and towards the leaders of the Muslims and their common folk, ascend the minbars (pulpits) and stand in the mihrabs (prayer niche), then the mosques in our Muslim societies will return to their leading role among our social institutions, and will once again be doing their job of educating men, producing heroes, correcting what is wrong, fighting evil and building society on the basis of piety, fearing Allah and seeking His pleasure. We hope that this will happen when the brave pioneers among our believing youth, who have confidence in the religion of Allah and follow the way of the Messenger of Allah (ﷺ), occupy the minbars of the mosques and direct their activities. 15. The bonds of brotherhood which the Messenger of Allah (ﷺ) established between the Muhaajireen and the Ansaar is one of the strongest manifestations of the constructive, moral and humane justice of Islam. The Muhaajiroon were people who had let their wealth and their land for the sake of Allah, and they had come to Madeenah with no worldly goods in their possession. The Ansaar were rich people with their agriculture, wealth and industry. So each person was to support his brother, sharing with him the ups and downs of life, bringing him to stay in his house so long as there was room for both of them, giving him half of his wealth so long as he had no need of it. What social justice in the world can match this brotherhood? Those who deny that there is any social justice in Islam are people who do not want the light of Islam to dazzle people ' s eyes and ill their hearts; or else they are stubborn, inflexible people who do not like any new terminology, even if people love that, and there is some reference to it in Islam. Otherwise, how can we deny the concept of social justice in Islam when we have this brotherhood which is unique in history, which was established by the bringer of shari’ah, Muhammad (ﷺ) himself, and applied under his supervision, on which the first society and state that he built was based? 16. The document in which the Messenger (ﷺ) established brotherhood between the Muhaajireen and Ansaar, and cooperation between Muslims and others, included a great deal of irrefutable evidence that the Islamic state was based on social justice, and that the basis of relationships between the Muslims and others is peace so long as the latter choose peace, and that the principles of truth, justice and cooperation in righteousness and piety for the good of the people and protecting the society from the harm of the evildoers, are the most prominent objectives of the Islamic state. Thus the Islamic state, no matter where and in what era it is founded, will be based on the soundest and most just of principles. Nowadays, it should also be based on the noblest of principles on which nations are built and under whose shade peoples may live. The efforts being made nowadays to establish states in our Muslim societies that are based on Islamic principles is work that is in accordance with the development of human thought on the concept of the state, except that it will also enable the Muslims to build one of the strongest, most perfect, happiest and most sublime of societies. No matter what the case, it is in our best interest to build our state on the bases of Islam. Ifwe fail to do so, that will only lead to our doom. Islam does not persecute non-Muslims who live in a Muslim land; it does not persecute them for their beliefs or deny them their rights. So why should there be any fear of any Muslim state applying the laws of Islam and implementing its rulings, which represent justice, truth, strength, brotherhood and comprehensive social harmony based on brotherhood, love and noble cooperation? We will never be rid of impeialism unless we call for Islam, so let those who strive, strive for this purpose.